In exotic India with the Himalayans serving as an unparalleled backdrop, *Mountain Club* offers a unique combination or rest, intrigue and breathtaking adventures. Within June Estate, the resort is an ideal place to relax and observe (or photograph) nature. Guests will love the treetop deck of the on-site restaurant! The variety of excursions available is sure to please, with paragliding, hiking, fishing, boating, trekking and more all offered on site and/or nearby. Cozy yet upscale, Mountain Club's accommodations pay homage to the scenery and location, with wooden, heritage-style units full of splendid extra details to delight guests. Recently renovated, the resort caters to a vacationer's every need whilst still achieving a rustic, old-world atmosphere that any retreat into the mountains should offer. 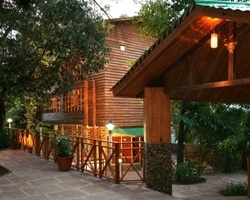 For more information about these luxurious yet earthy accommodations, visit www.clubgroupofhotels.com. 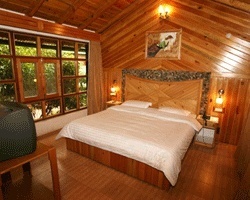 Outdoor lovers' scenic & fun dream resort! RTU until 2018! Buyer receives complimentary closing credit; inquire for details! Gorgeous mountain resort in India! 30 years are left on RTU!